Frank Bruni is capable of writing insightful critiques of New York’s great restaurants. When he writes about education he can only offer us fast food. Former New York Times food writer and current columnist, Frank Bruni had an op-ed piece in the New York Times entitled The Trouble with Tenure. In the article, Bruni quotes extensively from Mike Johnston, the former Teach for America temp teacher and public school principal, who is currently a Colorado State Senator from Denver and the author of Colorado’s 2010 law abolishing tenure. Bruni also quotes noted educational authority Whoopi Goldberg in the piece. Doing away with tenure will not improve student learning. Good principals know how to achieve results for children within the constraints of tenure. How do good principals work to achieve a strong team with a shared vision under a tenure system? Let’s start with an understanding that teaching is a complex process that requires complex metrics to judge its effectiveness. A system of weighing merit through student progress on standardized tests is fraught with error and will be recognized by a good principal as a very limited way to judge success. The good principal communicates to teachers a deep understanding of the complexity of the job and issues fair assessments based on that understanding and based on intimate knowledge of the teacher, the students and the learning environment created by that teacher. Secondly, a good principal builds a strong team by hiring the very best candidates s/he can find and providing them with the support they need to succeed in the form of professional development and adequate resources. After 2,3 or 4 years of providing the needed support, if the principal, using a variety of inputs, determines the teacher is not being successful with children, then tenure is not granted. So one way a good principal builds a strong team is to hire well, train well and cut the cord when things do not go well. But what of those so-called “bad teachers”? What of those teachers the principal has inherited from former “bad principals” who were simply granting tenure for those who had been there for three years? A good principal doesn’t whine about not being able to get rid of the teacher, a good principal works to help the struggling teacher improve, through a corrective action plan, through professional development and through an intensive supervisory model. By investing this time, the good principal often finds that the teacher improves and a new loyal member of the instructional team has been added to the ranks. Sometimes the struggling teacher is unwilling or unable to improve and as long as the principal has documented the efforts at improvement and the failures to demonstrate improvement, that teacher can be removed under any tenure law. Is it a long and tedious process? Yes, it can be. Could it be streamlined? Probably. But the streamlining of tenure process must be weighed against the possible mistakes that can lead to a competent teacher being dismissed after shoddy work by an administrator. Tenure does not prevent a talented principal from forming a strong team with a united vision. A principal creates a strong team through the communication of a clear vision that is supported by research on how children learn, by understanding the complexities of the teaching/learning process and through hiring, staff development and staff improvement processes that move the institution forward. I have seen this happen in four schools I worked in as a teacher and administrator. There are no shortcuts and tenure is not the roadblock that Bruni, Goldberg and Johnston would have us believe. 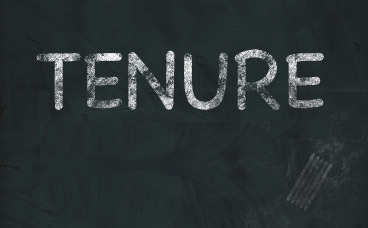 In previous posts here and here, I have discussed the need for tenure. The need can be boiled down to the necessity for teacher autonomy, teacher advocacy for children and reasonable protections from politically motivated hiring and firing. Much has been written about the corporate education reformers pet teacher evaluation tool the value-added model (VAM). A VAM is a statistical measure that attempts to account for a teacher’s effectiveness through student performance on standardized tests. These measures have been nearly universally discredited by study after study, most recently by the American Statistical Association, the leading professional organization for statisticians in the country. For an outstanding review of all that is bad about VAMs, I would recommend Rethinking Value-Added Models in Education: Critical Perspectives on Tests and Assessment-Based Accountability, by Audrey Amrein-Beardsley. While VAMs do not come close to meeting the sniff test for reliability and validity, they have been forced down states’ throats as an accountability measure through the Obama administration’s Race to the Top program. Each of the 46 states that signed on is supposed to come up with a teacher evaluation system using VAMs in order to get a waiver from the impossible to achieve goals of the No Child Left Behind Act. Whether VAMs are statistically suspect or not, they are doomed to fail. They have a fatal flaw that will insure that failure. Here is why. What is the purpose of a program of teacher evaluation? For more than 95% of teachers the chief purpose of an evaluation is formative. In other words the evaluation is designed to help that teacher get better at teaching. Any smart school district leadership recognizes that by the time even a first year teacher is evaluated, the district has invested heavily in that teacher. The investment came in the form of recruiting, interviewing and training costs. The new teacher has value and, as in any good organization, a school district seeks to protect that investment through ensuring, to the extent possible, that the teacher is successful. In order for an evaluation program to be successful in helping a teacher improve, three critical conditions must be met. 1. Trust – Feedback is a two way street; it requires a giver and a receiver. Feedback does not lead to improvement if the teacher does not trust the source of the feedback. A teacher must be open to whatever evaluative feedback is provided. An administrator providing feedback earns that trust through being knowledgeable, fair and open to dialogue with the teacher. 2. Actionable Feedback – A formative evaluation must provide a teacher with feedback that is doable. Recommendations must take into account the unique characteristics of the context in which that teacher is working. This means that the feedback is situational, responsive to the realities of the classroom setting, including such things as class size, grade level, special needs of the students and other demands on the teacher’s time. 3. Adequate Resources – The evaluation must also take into consideration resources of time, money and materials. If a refinement in teaching is recommended by the administrator, then that administrator must be able to point to the resources that are available to implement the recommendation. This may include sending the teacher to a professional development opportunity, providing time for the teacher to view other classrooms implementing the suggestion or providing support materials for the teacher to use in the classroom. The fatal flaw of value added models is that they do not have and can never have the trust of teachers and the do not provide actionable feedback. Let’s leave aside for a moment their statistical volubility. VAMs are simply too far removed from any classroom reality to be trusted by teachers. The classroom teacher, working with the child every day, knows much more about the individual child as a learner than any one shot standardized test can ever reveal. VAMs also fail to provide actionable feedback. What do you do with a number that describes the growth scores of students who are no longer in your classroom? How do you use that number to improve instruction? If your scores are low does that mean you need to do more test prep? Does it mean something about your instruction? Does it mean something about last year’s group of students? How does that apply to this year’s group of students? Finally, VAMs waste resources because they are simply not a useful tool for a school district seeking to provide an evaluation program that supports the development of skilled and contributing teachers. Even if an evaluation program were simply designed to ferret out under performing teachers, the VAM measures are too unreliable to be used for dismissal purposes. By forcing schools to focus on this unproductive approach, the federal Department of Education and the education reformers are hampering the opportunity for a richer more meaningful approach to evaluation. Apparently it is open season on teacher preparation programs and professional development for teachers. Last week New York Times columnist Joe Nocera had an op-ed piece called Teaching Teachers. His column follows a Sunday New York Times book excerpt on Elizabeth Green’s forthcoming, Building a Better Teacher: How Teaching Works (and How to Teach It to Everyone). Nocera quotes heavily from Green’s work. In Education Week, Walt Gardner Weighs in with Can Teaching Be Taught? This all comes in the wake of the National Council on Teacher Quality (NCTQ) latest report on the quality of teacher education programs. The NCTQ is a Bill Gates funded reform arm of the corporate education reform movement. 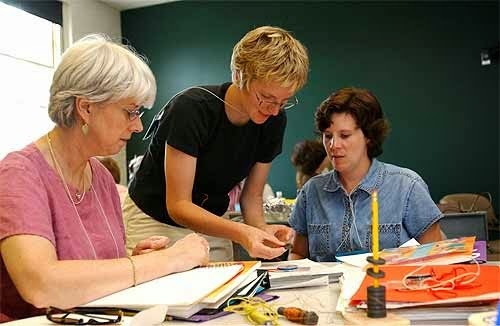 The apparent purpose of the NCTQ is to discredit traditional teacher preparation programs through the most cursory and flawed of research methods, so that profitable alternative graduate programs can make money. To gather information for their report, NCTQ mostly views documents on education school’s websites and uses their own metrics to decide on their quality. NCTQ has been universally discredited in the media. See Linda Darling Hammond’s piece from the Washington Post here. Here is a good general rule: If anything you are reading cites the NCTQ as a reference, don’t believe a word of what is said. Really? This is the common belief? I suppose that my thirty year career in professional development has been a mirage. I get a little tired of people outside of education telling me what the common beliefs are. Sure I think that many people believe that there are those with a particular talent for teaching, but in all my years as a teacher and administrator, I have for the most part encountered professionals of varying talents, who were trying to improve their craft. Talent is never enough. The baseball player Tony Gwynn was the finest hitter of is generation. He had considerable athletic talent, but more importantly he worked hard every day to get better at hitting. So, how do we best improve the preparedness of new teachers coming into the field and how do we make sure that improvement in teaching continues throughout a teaching career? I believe that the context of the learning is key. Undergraduate education can only do so much. Learning to be a teacher is an on-going effort that must be pursued over time in the context of the actual classroom. I have taught undergraduate education majors and also working teachers enrolled in Masters Degree programs. The graduate students were far superior students mostly because they saw the direct application of what they were learning to their classroom. In a word, they had “context” for what they were learning. Not only that, they also had a laboratory (their own classroom) in which to try out ideas. They came to class with questions in their head about how to improve their instruction. These graduate classes were like seminars in teaching improvement. Through no fault of their own, undergraduates do not have this context. That is why it is important to get pre-service teachers into the classroom as participant observers as soon as possible. Many schools of education are already doing this, of course. Education majors need to be in the classroom observing and assisting the certified classroom teacher starting in the sophomore year. College professors need to reinforce this in-context learning by attending these visitations themselves and discussing what happens there in a seminar structure. Of course, these regular visitations should end in the senior year with a minimum 18 week student teaching experience under the guidance of an informed college supervisor and a master classroom teacher. This experience is critical. No matter how good the undergraduate program is, however, it can never substitute for the moment the neophyte teacher steps in front of her/his own class. In this context, the new teacher is most open to learning and the opportunity for learning is fully contextualized. At this point it is critical that the neophyte have a skilled mentor who is readily available for assistance. Most current mentoring programs in schools fall short because resources of time and money are not available to provide a real mentoring experience. Ongoing professional development also has a large role to play. As I mentioned above, new teachers can greatly benefit from continuing their education on a graduate level because that learning is now contextualized. School districts can help their teachers stay current and refine their professional abilities through in house professional development. Many of my colleagues moan when they hear of another professional development program coming their way, but done right, these programs are critical. So how do we do professional development right? Once again a part of the answer is context. Professional development should happen in the teacher’s classroom to be effective. A good model would look like this. 4. Face to face feedback conference from the teacher/consultant to the teacher on how the lesson went with suggestions for refinement of the strategy. 6. Further meeting time for the group of teachers to discuss implementation of the strategy and continue refinement of practice. Obviously the models for mentoring and professional development laid out here require resources of time and money. If there is one major mistake we have made in public education it is that we have tried to do it on the cheap. If we want to have the finest possible teachers with the finest possible training, then simple answers and shortcuts won’t suffice. I would call programs of tying teacher evaluation to test scores, grading colleges of education, and hiring Teach for America recruits simple answers and shortcuts. Back in my teacher’s union president days, I had a board negotiating team member tell me that the taxpayers he represented didn’t want to pay teachers for “free time.” He thought that two preparation periods per week was plenty. In his words, “We are paying you for your time in front of students; you can plan on your own dime.” Viewing American public education over the past 45 years, I would have to say that his is the prevailing sentiment still. When will the so-called reformers realize that to get the best teaching, we must invest the necessary time and money? Corporate reformers love their data. They say data is what should drive instruction. One particularly pernicious aspect of a data driven obsession is the data wall. 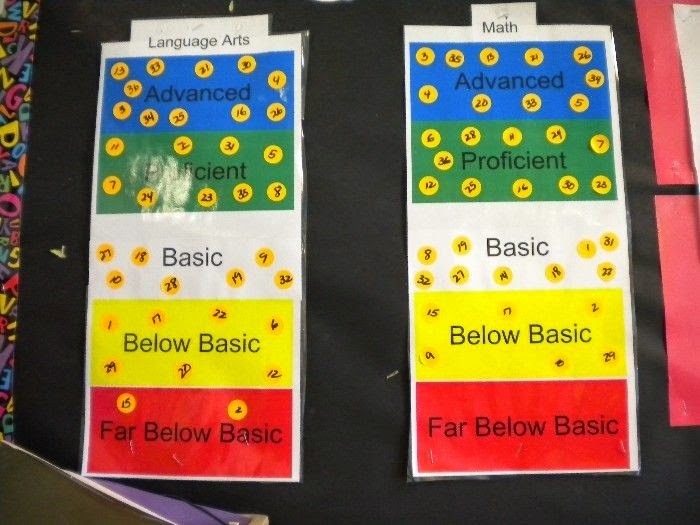 Data walls are intended to display student performance publicly in the classroom or, as I have often seen it, in the hallway, so that everyone can see who has done well and who has not on standardized tests and other measures of performance. Above is one typical example (hat tip to Edusanity). Guess how long it will take children to figure out which student corresponds to which number? The purpose of these data walls appears to be, as Valerie Strauss has pointed out, the humiliation of children. In the spirit of this reformy idea, I thought I would develop a data wall of my own to assess the progress of some of the more noted educational reformers. As you can see this data wall has four categories of cluelessness. Since the education reform movement is heavily populated by people who have never or only briefly taught, the highest rung they can obtain is Clueless. The lowest rung on the ladder is reserved for the Clueless and Rich. This category is reserved for those plutocrats who, in the name of charity and dodging taxes, have decided to make teachers and students miserable with their cockamamie ideas. Wendy Kopp - The founder of Teach for America started with a reasonably sound idea for filling teacher shortages in urban areas and has turned it into a multi-million dollar machine for bashing real teachers, providing willing and naive staff for charter schools and union busting. Eric Hanushek - The Stanford economist is the prime mover behind the "poverty doesn't matter, just fire the bad teachers" movement. What Hanushek has mostly managed to prove is that economists are clueless about educational reality. Mike Petrilli - President of the Thomas Fordham Foundation, a conservative think tank and a leading supporter of the Common Core. Petrilli proves that you can be thoughtful, witty, well-informed and still clueless about teaching and learning. Arne Duncan - Leading the way as supremely clueless, the Secretary of Education fulfills his mission as the nations "teacher in chief" by bashing teachers every chance that he gets. A supporter of the Vergara tenure decision, charter expansion, valued added measures for teacher evaluation, Duncan has been consistently on the wrong side of every single education issue. John White - A former Teach for America recruit, White has overseen the dismantling of public edcation in New Orleans in his role as Superintendent of Schools in Louisiana. White comes by his cluelessness honestly as he is not certified to teach or be a school administrator in Louisiana. He did attend the Broad Superintendents Academy where he learned to destroy public education. Campbell Brown - A former newsreader, Brown is new to the wall, but already demonstrating all the characteristics of extreme cluelessness. Bouyed by California's Vergara decision, she is tearfully suing the State of New York to get rid of job protections for teachers in that state. 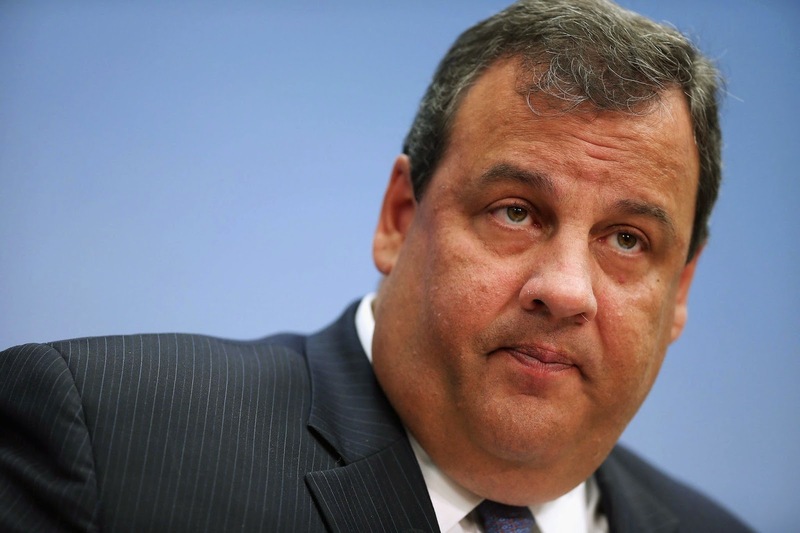 Chris Christie - Inheriting one of the finest education systems in the country, Christie has been persistent and consistent in his efforts to destroy it. While his minions close access to bridges in New Jersey, Christie has denied the public a voice in the dismantling of public education in Newark and Camden. Cami Anderson - Chris Christie's handpicked Superintendent of Schools in Newark New Jersey, Anderson is so sure that she knows what is best for the children of Newark that she has decided to stop attending school board meetings or listening to parents and community leaders. Determined to fix Newark's schools in her reformy image whether it is good for kids or not. Michelle Rhee - Well, you know. The Walton Family - Dedicated to ensuring that the population of the country remains ignorant, compliant and poor enough to keep shopping at Walmart. Bill Gates - Prime financier in the experiment to destroy public education and replace it with a business model in his own image. Likes playing god to America's parents and children. Says we will know if his experiment worked in ten years, because you know, today's kids have the time. something for teachers rather than to them. 1. Evaluate teachers using student standardized test score data (Value Added Measures or VAMs). 2. Eliminate teacher job protections like tenure and seniority (see California’s Vergara case). 3. Do away with traditional experience and educational level salary advancement and use a system of merit pay designed to reward high performers and punish low performers. One thing we could do that would help many teachers would be to provide on-site, professionally run, school district managed and state regulated day care for teachers who are working parents. Everyday tens of thousands of teachers drop their children off at a day care facility, often far from their place of work, and then report to work where they are responsible for their students’ health, welfare and education. Teaching is a job that requires 100% concentration at all times. It can be very difficult providing that attention with your own child miles away in the care of others. All parents face a daunting challenge in today’s world. Two salaries are generally necessary for a growing family. One family member is often responsible for holding a job that provides health benefits. Even in the 21st century the burden of child care falls mostly on the mother. The vast majority of teachers are women, so the connection is clear. Many teachers arrive at school with part of their minds and much of their hearts elsewhere and with one ear tuned to the cell phone. This is not a critique of women or men or parents or a plea for the “family values” of 70 years ago. Nor is it a plea for mothers or fathers to quit their jobs and stay home with their children. Rather it is an acknowledgment of the truth of the situation and a plea to do something about it. School or school district based child care is very desirable and very doable. From the perspective of the teacher/employee, school based child care means a safe and secure place to leave your child during the school day. It means a greater assurance of quality care due to school district oversight and the employment of certified staff. 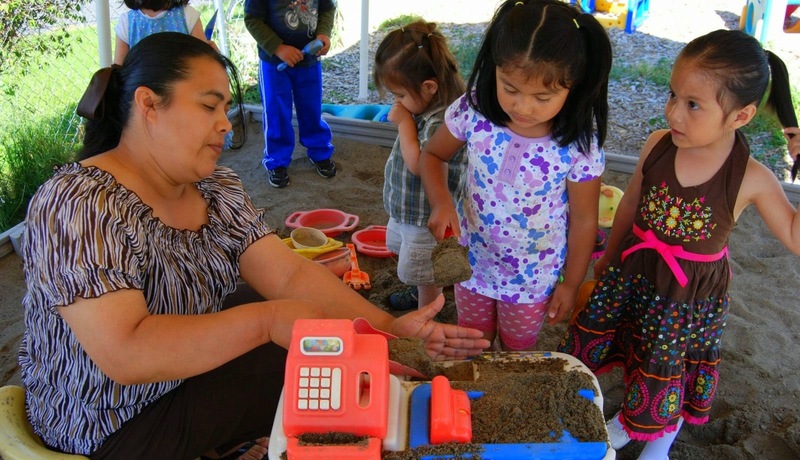 Current school based daycare programs often seek national accreditation through the National Association for the Education of Young Children and are run by experienced administrators tied to the district’s administration. On-site daycare means that the teacher/parent can visit the child during a lunch break and be readily available if a need arises. Further, school based day care means day care that is responsive to a school’s calendar, meaning that the parent does not have to pay for days when schools are closed and care is available for times when teachers must attend meetings or conferences after hours. School-based day care is desirable for the school district because it helps the district recruit and retain teachers. A professionally run, on-site daycare may help a district attract top candidates for open positions. In my career as a school district administrator, I have seen many excellent teachers make the hard decision to leave the profession when they started a family. Secure and professional day care may help prevent this brain drain. Of course, as I have argued above, the greatest benefit of school based day care may accrue to the students. With secure knowledge that their own child is being well-cared for and is close by, the teacher can give that necessary 100% to the children sitting in the classroom. Cost? The cost of the program to the school district should be zero. As long as the district has available space, facilities costs should be a minimum. In any event the district would base the cost to the teachers on the cost of running the program. In places where this has been tried, the cost to the parent/teacher has been about the same or a little lower than other day care arrangements. See here. So here is one way that the corporate education reformers could do something for teachers that would help attract top candidates to school districts, help retain talented teachers and ensure students get the best their teacher has to offer in the classroom. I would like to see the reformers put their money behind this idea. Or is it only about doing things to teachers?